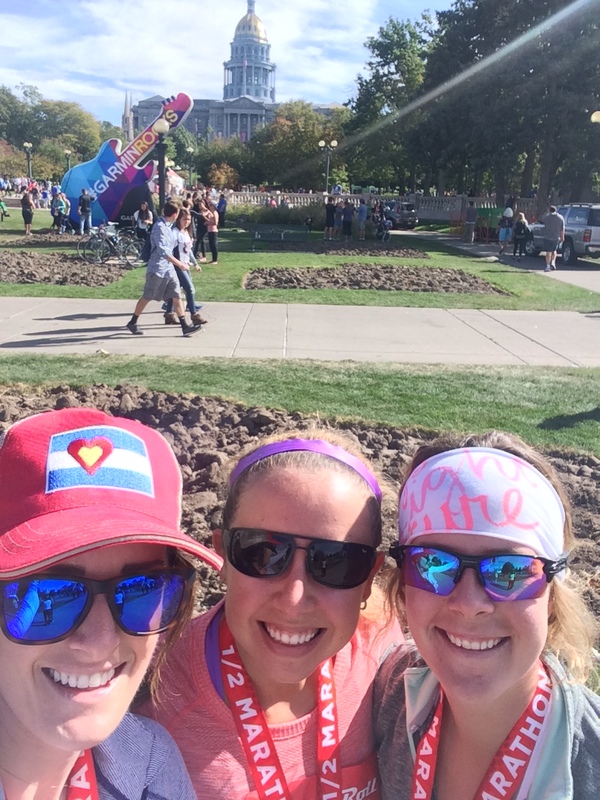 Last Sunday, I ran my first half marathon. 13.1 Miles. 21 Kilometers. 21,000 Meters. Surprised? Yes, I even surprised myself. In March of this year, I drafted a vision board that highlighted various goals and challenges that I wanted to accomplish this year. One of the goals was a ½ Marathon! Not exactly sure what compelled me into this particular challenge but I do like to push my comfort zone and try new things so a few weeks later, I signed up and I committed. Now, as you are read this, you should know that I never considered myself to be a runner. I tried to run winter track in high school and quit after a few days. The thought of running more than a lap around the track in the dead of an east coast winter sounded dreadful to me. And in the years that followed, a desire to run long distance had not resurfaced. Until, of course, I moved to Colorado. Once you live in a state with ultra marathoners, iron man finishers and triathletes, you feel motivated to be a part of the action. I watched countless athletes compete in triathlons, marathons, sprint triathlons, iron man competitions, cyclist races, etc. I stood from the sidelines in support and amazement of those athletes as they competed and performed in such an extraordinary way. I knew I had to be a part of it. Over the past 2 years, I’ve been able to run up to 6 miles rather consistently. Some days, I run 2-3 miles. Other days, I feel compelled to run 5-6 miles. It’s all about balance. 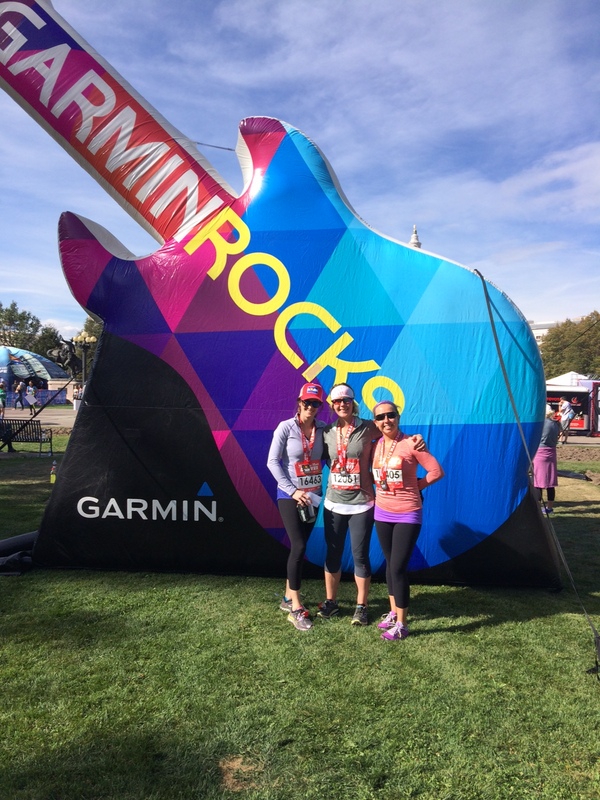 Throughout my training for the Denver Rock & Roll Half Marathon, I tested new limits and came across new hurdles. I started a weekly run club at my company. I ran with my co-workers during our lunch hour. I ran without music and started to keep up with friendly conversation during our time together. I ran almost every Sunday morning over the summer, trying my best to increase my distance each time. On my 31st birthday, I woke up early and run 7 miles, the further I had ever run before, and I felt incredible. Unfortunately, over the course of my training, I developed plantar fasciitis, a common injury incurred from running and general over use of your leg muscles (due to running, hiking, pilates, etc). At first, I self diagnosed myself and chose to ignore the pain. Eventually, the pain got worse and I had to see a podiatrist who confirmed that my fascia tissue was indeed tight! After diagnosis, I stopped running for 3 weeks and rested. 1 week before the marathon, I completed a gentle 3-mile run. The foot pain returned so I visited my physical therapist and questioned whether or not it was worth it to race. Not run, go back to sleep. I gave myself the opportunity to run the 10K since I had already proved to myself I could. In the event I couldn’t finish, I could bow out gracefully knowing I gave it a fair shot. Once the race began, I felt pretty good. 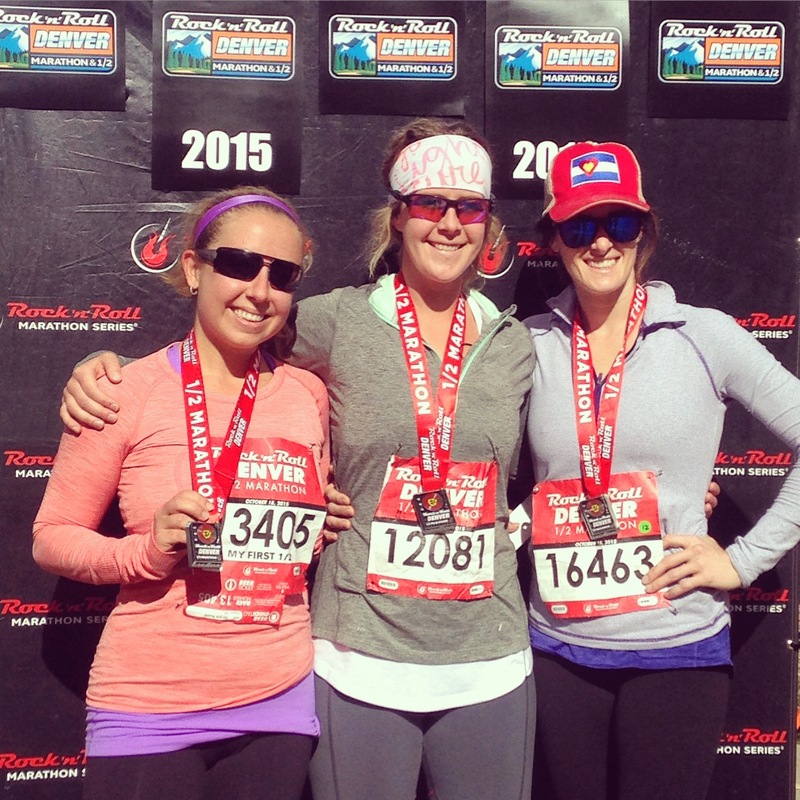 I ran steadily alongside my friends, Keri & Kirsten, for the first mile or so and then we went off on our own. It was time to tackle the personal challenge. As the race continued, I felt really confident. No longer was I on the sidelines, I was a participant. I was out there in the heat of the action running for myself and running for those that might not be able to. I ran because I could and it felt great. At some point during the first few miles, I realized I could transcend my physical limitations, simply believe in myself and know that I was going to make it happen. 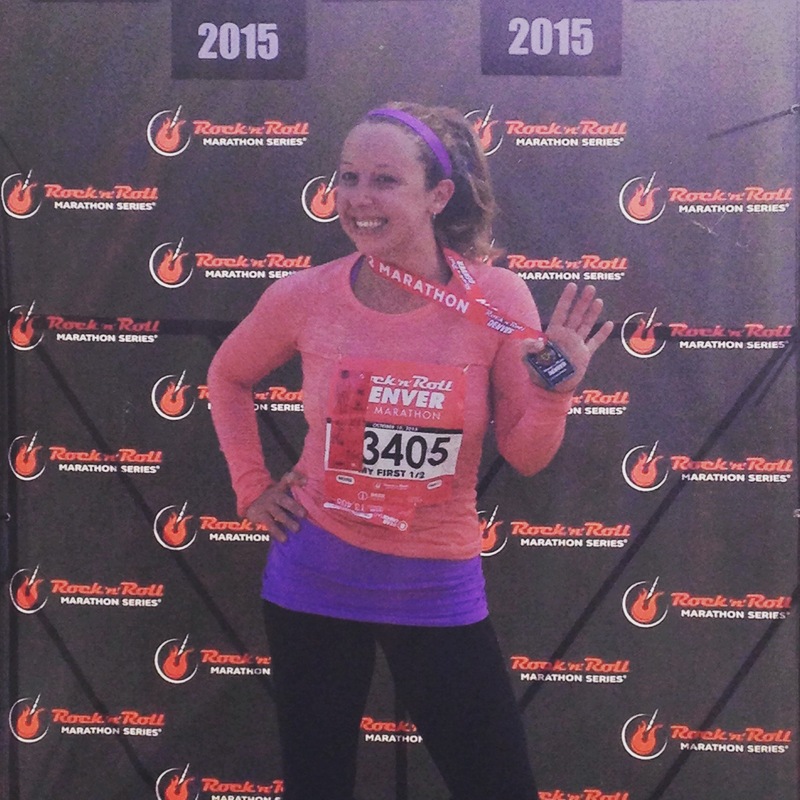 I believed that I had the ability to run that 13-mile course. 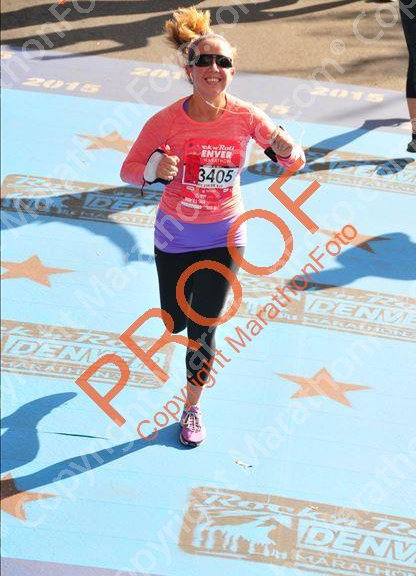 I believed that the human body was truly an extraordinary thing and I was capable, able and ready to finish my first half. Once I ran past the 10K marker, I knew I couldn’t turn back. Admittedly, I went easier on myself in the second half of the course since I knew it was unchartered territory for me. Still, at various points of the race, a feeling of complete jubilation went running up and down my body. It reminded me that I was alive and completely in it, 100%!!! When I wasn’t a runner, I was told I could run but rarely believed I could. When I became a runner with an injury, I was told to avoid the run. But now that I believed I could do it, I was more determined than ever to finish what I started. I crossed the finish line in 2 hours and 32 minutes, just 2 minutes shy of my goal. After the completion of the race, a sheer sense of bliss and euphoria washed over me. Now satisfied with the knowledge that I could accomplish my goal, the results mattered so much less. I guess your thoughts do create your destiny. Believe it and you can achieve it. P.S. Even though I’ve been rather sore over the past few days, I’ve been able to teach and practice yoga as usual. I have decided not to run again until my plantar fasciitis is heeled and I’m back in proper running condition. Previous postYoga with Denelle Celebrates 5 Years! So proud of you Denelle! I believe you can fly if you set your mind to it! Now please take care of your injury.. 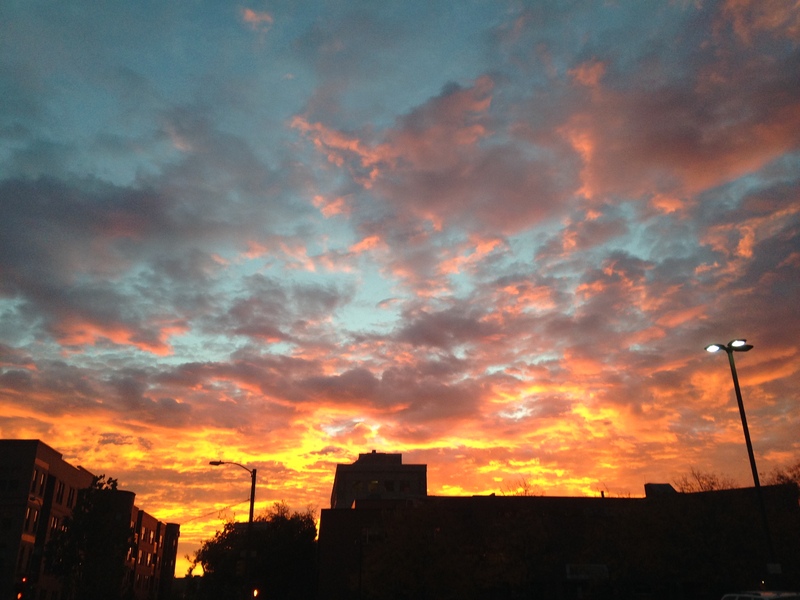 Rising early,as you did to such a beautiful Sunrise, seemed to inspire you to go for it. Congratulations on the completion of the 1/2 marathon and the time you finished. You are always trying to do your best with sensibility attached to it. In this case, the injury you had incurred prior to the the race was on your mind and caution was taken. Always so proud of your accomplishments but that is quite understandable being your Dad…But also as a person just trying “HIS” best in keeping healthy avenues in mind, body and spirit alive, this is also true. Nuttin’ but love fer yer! WAY TO GO!!! !